Description: Please save Thursday, April 18, 2019 and join us at The Marin Annual Arc Breakfast.  This event is a celebration highlighting the vital work of The Arc San Francisco Marin and the friends and partners who support our success. Invitations with details to follow.